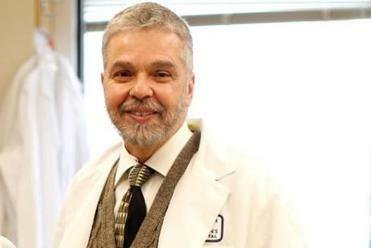 Dr. Charles Vacanti was an outsider to the world of stem cells. Dr. Charles Vacanti is an unlikely protagonist for one of the most startling scientific discoveries in years. The genial 63-year-old anesthesiologist who left stem cell scientists shaking their heads in wonder and puzzlement last week, with the discovery that a simple acid bath could be used to generate powerful stem cells, doesn’t even have a PhD. 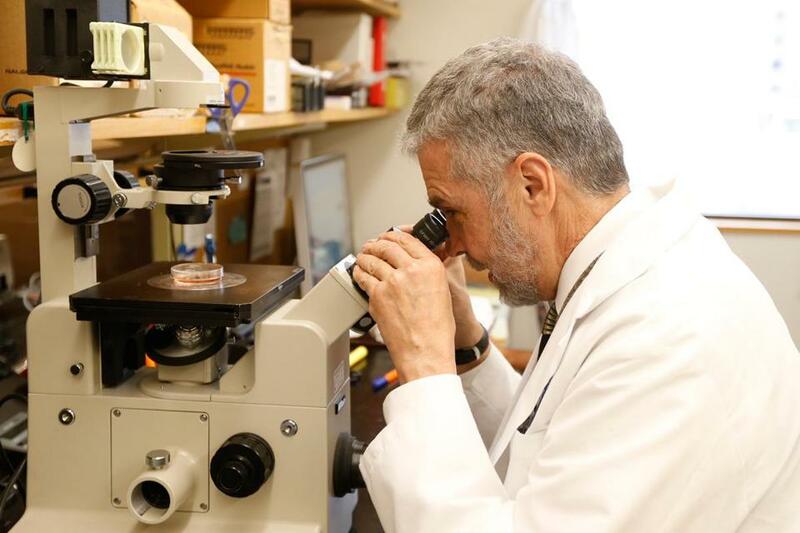 Vacanti is an accomplished tissue engineer and the chairman of the Anesthesiology Department at Brigham and Women’s Hospital, but he’s a virtual outsider to the highly competitive and fast-moving stem cell field. Until now, he was best known for creating the grotesque “earmouse” — a mouse with a human ear grown on its back, in a demonstration of the complex structure that could be grown with the technique. His discovery is a reminder that as specialized as science is, sometimes, a little ignorance may be a virtue. A stem-cell expert would probably never have even bothered to try the experiment Vacanti has been pursuing, on and off, since the late 1990s. “In science, the prevailing opinion is called dogma. And dogma is often right, and often wrong,” said Arnold Caplan, a biology professor at Case Western Reserve University and friend who has acted as a sounding board for some of Vacanti’s ideas. Unlike many scientists who fear getting scooped or being wrong, Dr. Charles Vacanti is more open in speaking about his research. The stem cell work discussed is unpublished. Sitting in his office a day after he shook up the stem cell world, Vacanti was unguarded and modest. He laughs easily and has a midwesterner’s casual, aw-shucks demeanor. Colleagues said it’s not unusual to see his tie crooked at a cocktail party, and he can sometimes seem like an eccentric and slightly bumbling uncle, but his intelligence is always just under the surface. Vacanti did not set out trying to devise a new way to make stem cells with the ability to become any of the myriad organs and specialized cells in the body. The technique he and colleagues revealed last week is shockingly simple compared with the genetic manipulation of cells now required. In the late 1980s, he had begun doing research with his older brother, Joseph, a surgeon who was then working at Boston Children’s Hospital and pioneering the new field of tissue engineering. Charles Vacanti — who is called Chuck by his friends — had gotten interested in growing bone, but first he had to learn how to work in a lab, so he asked his brother to be his mentor. He started by growing cartilage cells onto scaffolds, which is what led him to eventually create the earmouse. Vacanti said most of the things that have happened in his life have not been planned out. In 1994, he moved to the University of Massachusetts Medical School. When a BBC film crew was making a documentary about research there, he asked if they would like to see something neat. The BBC broadcast footage of the earmouse drew an international spotlight to his work. Not long afterward, Vacanti gave a talk in London, and later read a newspaper’s exaggerated account of what he had said — including an outlandish claim that Vacanti had vowed to “cure Superman,” meaning the paralyzed actor Christopher Reeve, by fixing spinal cord injuries. But the article sparked Vacanti’s curiosity, and he began to get interested in trying to do just that. It was a natural time to diverge professionally from his brother Joseph, too. “I thought, this is great. My brother’s taught me a lot, but I need to move on into a different area rather than hang on to his coattails my whole career,” Vacanti said. He recruited his younger brother Martin, a pathologist, to come out to UMass and try to find a type of cell that could be used to cure spinal cord injuries. Growing up, the two brothers had been close — riding motorcycles together, getting into mischief, traveling to Europe. They were kind of like two Don Quixotes, Martin said. Like the windmill-fighting hero of literature, Chuck “just doesn’t see why it can’t be done.” he said. For more than a year, Martin struggled, but then he tried using a procedure used to isolate fetal stem cells from rodent brains. He cut up an adult rat brain with a scalpel he borrowed from an operating supply room. He passed the mashed-up tissue through progressively thinner tubes, squeezing and even injuring the cells. Then he looked in the microscope. “All I had was junk and garbage and debris,” Martin recalled. “But I noticed these very, very small, tiny rounded” structures. A colleague dismissed them as nothing, and a depressed Martin returned to the lab, debating whether to throw out the Petri dish or stick it in the incubator. He decided to see whether anything would grow. After a weekend had passed, still feeling sorry for himself, he looked at the dish and saw that the dots had grown into spherical clusters that seemed to be acting like stem cells. The initial, tiny seed cells seemed to be very hardy and resistant to harsh conditions, so he and his brother dubbed them spore-like cells and published their results in 2001 in a respectable, though not prominent journal. Other UMass scientists were extremely skeptical of the results. Eventually, tired of having to defend his work internally, Charles moved to Brigham. He made a conscious choice during the job interview not to mention the research. “I didn’t want to tell them about my little flop on spore-like stem cells,” Vacanti recalled. Martin eventually moved back to the Midwest, and Charles’s research went in other directions. But he was still interested in the strange cells he and his brother had isolated. He asked Koji Kojima, a thoracic surgeon and researcher in his lab, to try to see whether he could isolate the same tiny cells. Kojima started by trying to find them in lung tissue. Eventually, he found the right protocol. Another scientist in the lab found them in muscle. But Vacanti had learned his lesson. Maybe his lack of training had been an asset when he was trying an unconventional approach and following his intuition where few others would have gone. But he now knew he had to build a rock-solid case that these cells were what they seemed to be. “We said, ‘We need a card-carrying scientist to be involved in this. That’s the only way anyone is going to believe us,’ ” Vacanti recalled. And they needed someone who was not only skilled, but malleable. Mature scientists, Vacanti said, have committed themselves to a certain destiny. Just as stem cells specialize into muscle cells or nerve cells, for example, scientists might go down the road of studying the immune system or genetic engineering. Once they are committed to a field and to their ideas, they are far less flexible. “Older scientists were never going to abandon what they were taught. We needed someone who was flexible enough to explore different possibilities,” Vacanti said. They needed a student. In 2008, a Japanese graduate student, Haruko Obokata, took up the project, and succeeded in much more rigorously replicating the 2001 work that had attracted so much criticism. Two years later, at a conference in Florida, Vacanti met with Obokata and her mentor from Japan, Masayuki Yamato, from Tokyo Women’s Medical University. He asked them not to make fun of him. Then, he proposed that maybe the isolation procedure was actually creating the cells. He wondered if Obokata would return and see whether this was true. 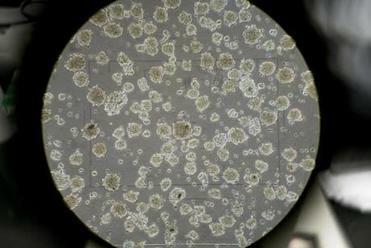 Obokata worked with top stem cell scientists to show rigorously that these cells were triggered to return to a stem cell-like state by an environmental stress, such as being placed for 30 minutes in a mild acid bath. They submitted the first paper to a journal in April 2012, but it was rejected. Over the intervening year and a half, they continued to answer questions. Dr. George Q. Daley, a stem cell scientist at Children’s Hospital, said the value of being a nonexpert is that you may take risks because you don’t know better. There is a flipside, though. He said Vacanti’s ability to bring in world experts, including Teruhiko Wakayama, a specialist in mouse-cloning, “gives tremendous confidence to those of us within the field of pluripotent stem cells,” which are able to give rise to multiple types of tissue. Daley said when the paper was published last Wednesday, he exchanged e-mails with other leaders in the field, agreeing that the level of proof furnished by respected scientists meant the work, surprising and puzzling though it was, had to be taken seriously. Vacanti is not nearly as circumspect as many scientists, who are reluctant to speak about preliminary results or new research for fear of getting scooped or being wrong. He invited a Globe photographer to take photos last week of what he said are the first human stem cells created with the new technique. He told reporters that a collaborator had already made an effort to clone a mouse from stem cells created with his technique, but that the fetus did not survive. All the work is unpublished, unvetted, preliminary — the sort of thing most scientists wouldn’t speak about publicly. “There’s a little bit of a little kid in him — he’ll do what he feels like,” said Robert Langer, a bioengineer at MIT who has worked with Vacanti. Joseph, his older brother, chalks up Chuck’s openness to something that the brothers all share — a plainspoken manner that comes from their Nebraska background. Chuck’s persistence and willingness to challenge orthodoxy, he said, stems from their upbringing, especially their mother, who was self-assured and had no patience for mindless authority. “I think that’s helped us establish this whole field of tissue engineering, because you have to be open. You have to be able to work with others. You have to be able to respect others. The whole way science works is to share and not to hide,” Joseph said.